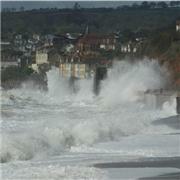 Sign up to Dawlish.com to discuss, share and follow. A man who spoke with a forked tongue. Mispent youth. They are everywhere but adults ignore them until something serious happens - to late then. And to answer Ziggy, the parents are probably pissed and don't care. The Beeb are doing what they do to these events - milk it. For those interested it is on BBC now. But I pressed the off button. Am I being cynical or is there a crane lift nerby. I saw drinking going on outside of Seabreeze the other night. Does this mean the licence WAS granted?